Sava Dolinka river, located in the alpine region of NW Slovenia, is one of the best fly fishing districts in this part of Europe! 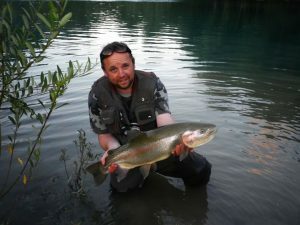 The artificial lake, which is formed by the dam at Sava Dolinka, is inhabited by large and trophy size rainbow trout specimens. Water is cold and deep up to a few metres, which is perfect for a cover. The district is populated mainly by large rainbow trout, brown trout and chub. Local anglers highly recommend using the belly boat, but fishing from the shore is also possible. Daily license costs 40 or 50 EUR, you can buy it HERE. Please, follow the rules of the local fishing family (RD Jesenice). Best advice is to come in spring or autumn, using the belly boat and large nymphs or streamers. 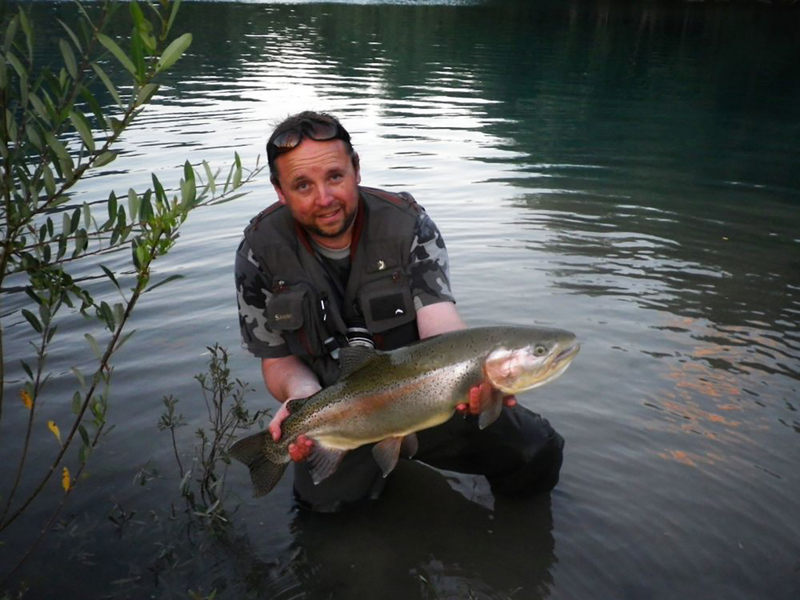 Sava Dolinka is a perfect place to catch a fish of your dreams! Check out the beauty, which was released shortly after the shot has been taken. Congratulations to the angler!